Aluminum wiring was used in many homes built from in the mid-1960s and early 1970s. If your home was built during this time and hadn’t been rewired, you may still have this potentially dangerous type of wiring. Wiring made from aluminum is a fire hazard that needs to be replaced immediately. At Larry & Sons, we can help. According to the U.S. Consumer Product Safety Commission, aluminum wiring has caused several tires and even deaths. Expansions can occur at connections between wires and devices like switches and outlets, potentially resulting in dangerous overheating. 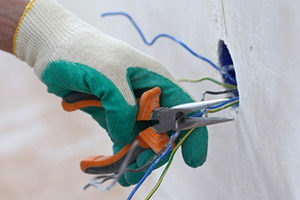 Homes built before 1972 with this type of wiring are 55 times more likely to have a connection reach “Fire Hazard Conditions” than homes with copper wiring. Even aluminum wiring manufactured and installed post-1972 could be dangerous. The introduction of alloys failed to solve most connection failure problems. Despite this, aluminum wiring is still used in some applications, like single-usage high amperage circuits and residential service entrance wiring. If you are in need of Hagerstown aluminum wiring repair and replacement, Larry & Sons can help. We are proud to offer expert electrical services throughout the region, and your trusted electrician in Hagerstown MD is equipped to repair your existing aluminum wiring to make it safer or replace it with copper wiring. Your family’s safety is our top concern, and our Hagerstown electricians have the proper tools and training to get the job done right. 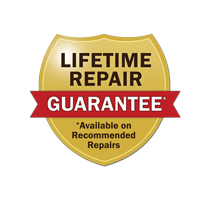 When you trust us for aluminum wiring repair and replacement, you can rest assured knowing that your home’s electrical system is in good hands. Don’t trust your home’s electrical system to just anyone. If your home has aluminum wiring that needs to be repaired or replaced, contact the experts right here at Larry & Sons today. Call 301-733-5428.